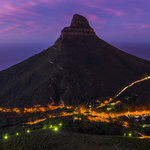 East London is a tranquil city on the southeast coast of South Africa. Situated between the Buffalo River and the Nahoon River, it is South Africa’s only river port. With a population of more than 267,000 people, East London is a beautiful coastal city renowned for its beaches. Popular attractions include the East London Museum, East London Zoo and Inkwenwezi Private Game Reserve. 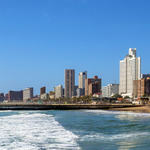 Fly to this beautiful destination with cheap Mango flights from Cape Town to East London. 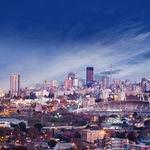 The city’s hub airport is East London Airport (ELS), which is a 10-minute drive from the city centre. Book cheap Mango flights from Cape Town to East London at Travelstart today! You will need a South African ID or passport to fly from Cape Town to East London. East London is home to many stunning attractions, including Nahoon Estuary Nature Reserve, Vincent Park Mall and the East London Zoo.